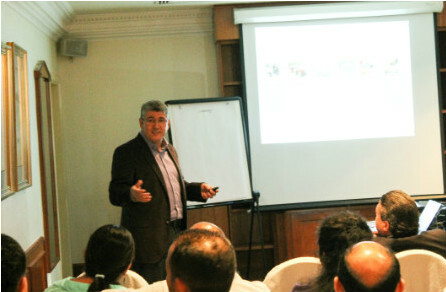 The president of ProCana Brasil, Josias Messias, spoke to representatives of 17 nations in Dubai, United Arab Emirates, last month. On the theme “Brazilian Agribusiness Opportunities & Challenges” Messiah showed the privileged position that Brazil has in this area, and how it can become a major world power in the segment. “By 2050 we will have about 9 billion people in the world, and therefore, food production will have to increase by 70%. Brazil is crucial in this process, since it is one of the few who has land in good conditions for the large-scale production, “he said. During his lecture, the stigma that agribusiness causes deforestation was debunked by the businessman, who considers absurd that people still believe in this myth. “Agribusiness is key to sustainability, there is nothing as important. In Brazil we have plenty of land and water, which allows us to work with agribusiness and bioenergy, “he said, using sugar cane as an example of sustainable agribusiness. At the end, Messiah presented FAO figures – Food and Agriculture Organization of the United Nations, the ILC – International Law Commission, and other organizations that put Brazil as the country with the best risk-benefit ratio for investors. “For all these factors, Brazil is today, the best place to invest,” he added.